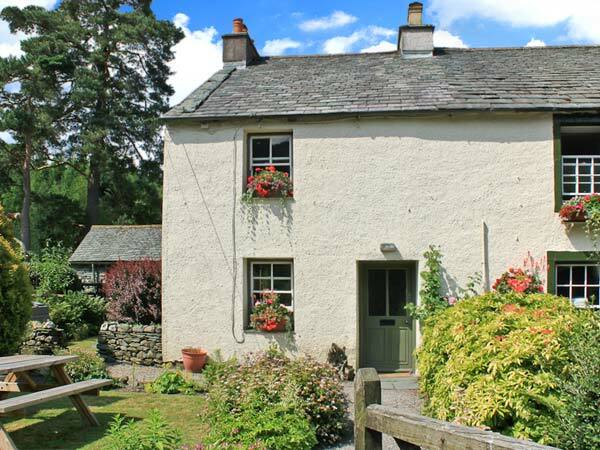 Nook Cottage is a semi-detached cottage situated on the owners' livestock farm, in the village of Rosthwaite in the Lake District National Park. This cottage sleeps six people in three bedrooms, consisting of one double, one twin and one single with pull-out stacker bed, as well as a bathroom. The cottage also has a kitchen and a sitting room with dining area and open fire. Outside there is ample off road parking, an enclosed, front lawned garden and a rear courtyard. 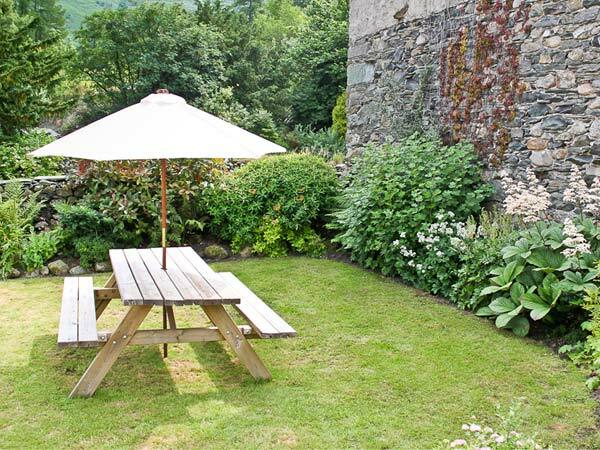 Nook Cottage is an ideal base for families with many attractions, walking and cycling routes nearby. Three bedrooms. 1 x double, 1 x twin, 1 x single with pull-out stacker bed. Bathroom with bath, shower over and basin. Separate WC. Kitchen. Sitting room with dining area and open fire. Oil central heating with open fire. Electric oven and hob, microwave, fridge, freezer, washing machine, TV with Freeview, WiFi. Fuel, power and starter pack for open fire inc. in rent. Bed linen and towels inc. in rent. Ample off road parking. Secure bike storage. Enclosed, front lawned garden. Rear courtyard. Two well-behaved dogs welcome. Sorry, no smoking. Tea room/shop and pub 2 mins walk. Derwentwater 2 miles.